We're a passionate team with decades of business experience dedicated to help promising companies achieve results they won't achieve on their own. We work hard to ensure we build the best platform that connects companies with expertise traditionally hard to access. Prior to founding Clewed, Hiwot was a Principal at Solera Capital since 2004, where she sourced, evaluated, executed and monitored investments across industries for a $250 million middle market growth equity fund. Previously, Hiwot spent 8 years in financial management roles in media, telecom and finance industries. 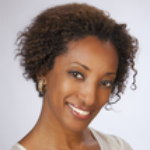 Most recently, she was with Pearson Inc., USA where she managed financial reporting and analysis for Pearson's US entities and RSL communications Inc. Hiwot began her career as analyst with AMI Capital, now part of Wells Fargo. Hiwot holds an MBA from Columbia Business School and a B.S. from SUNY New Paltz, in New York. She holds a CPA. Prior to joining Clewed, Tim worked at ESI International, a private equity backed corporate training and education company where he developed and led the implementation of a global go-to-market strategy for ESI's private equity owner, Providence Equity Partners. Tim's collective professional experience spans multiple functional areas including business development, marketing and finance across a wide range of industries including technology, financial services, energy and supply chain services. Most recently, he led business development for Avendra and was a senior director of industry strategy and Insights for Oracle Corporation / Siebel Systems. 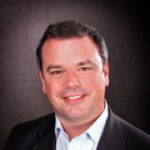 Tim earned his MBA from Columbia Business school and holds a BA in economics from the University of Rochester. 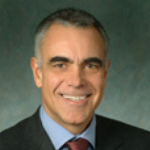 Ramon de Oliveira is the Managing Partner of the consulting firm ROC Partners, based in New York city. Between 2002 and 2006, Mr. de Oliveira was an adjunct professor of Finance at Columbia University. Starting in 1977, Mr. de Oliveira spent 24 years at JP Morgan & Co. From 1996 to 2001, Mr. de Oliveira was Chairman and CEO of JP Morgan Investment Management. Mr. de Oliveira was also a member of the firm's Management Committee since its inception in 1995. Upon the merger with Chase Manhattan Bank in 2001, Mr. de Oliveira was the only executive from JP Morgan & Co. asked to join the Executive Committee of the new firm with operating responsibilities. He is a graduate of the University of Paris and of the Institut d'Etudes Politiques (Paris). Directorships currently held: ROC Partners, Managing Director. AXA - Director and Chairman of the Finance Committee. Fonds de Dotation du Louvre- Chairman of the Investment Committee. Taittinger-Kobrand USA (United States). The Red Cross, Member of the Investment Committee. Marie is the CEO of Reliance Solution Services, LLC, a company that helps businesses transform their procurement organizations globally. Previously, Marie was the CEO of US Xcxhanging Services Inc, Country General Manager and the Managing Director for its North America Procurement Outsourcing Services. She was responsible for the Procurement Services P&L, business growth, go-to-market strategy and the management of the sales, solution and delivery teams. Prior, Marie was the Global Practice Executive for the Growth Market Unit at IBM’s Global Process Services, which covered Asia Pacific, Latin America, Eastern Europe, Middle East and Africa. In her role, she was commissioned to help Clients with competitive and quality Procurement solutions that map to their industry, country and specific needs. In her 15 years with IBM, Marie held several leadership and management roles covering billion dollar re-engineering, transformation, sourcing and procurement businesses in various markets, most recently in Shanghai, China where she served as the Asia Pacific Procurement Outsourcing Sales and Solution Executive covering all Asian counties including Australia/New Zealand and Japan. She has also led general management roles including Strategy, M&A and product management. Marie was recently the winner of the 2013 Best Biz Executive of the Year and previously the winner of the National Female Association Executive (NAFE) Women of Excellence Award for Mentoring. 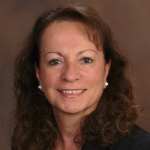 Marie holds an MBA in Marketing and Organizational Management from Syracuse University and speaks 4 languages.